Wonderful very elaborate four gallon J&E Norton churn with double fat tailed pheasants on stump. 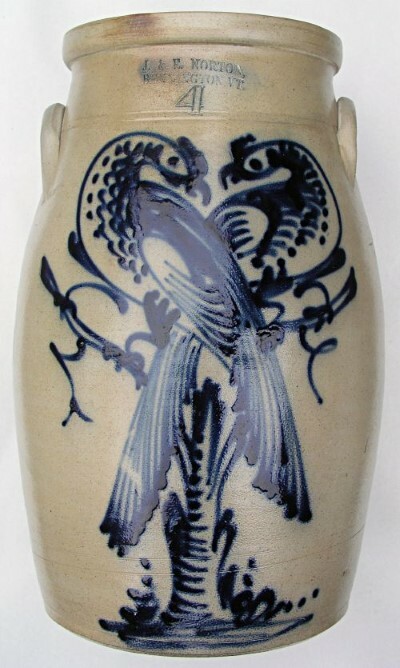 Crisp bright blue cobalt decoration with numerous dots on breast and neck. Dimensions: I`M ALWAYS INTERESTED IN PURCHASING STONEWARE OF THIS QUALITY..